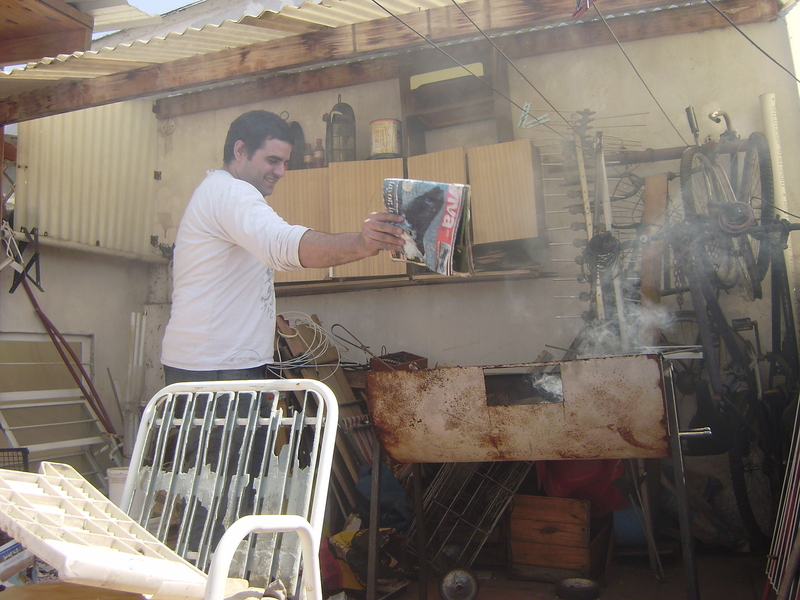 The Yanqui Asado finished at 3am on Sunday (an early night by Argentine standards) and the Argentine Asado started at 1pm. Needless to say, that is a lot of meat consumption in a short period. Although the guest count was about the same, the Argentines bought a lot more meat. They also grilled some vegetables, which were delicious! The sun was shining, the temperature about 60 degrees. Everyone relaxed, enjoyed the sun, and ate a LOT of meat. 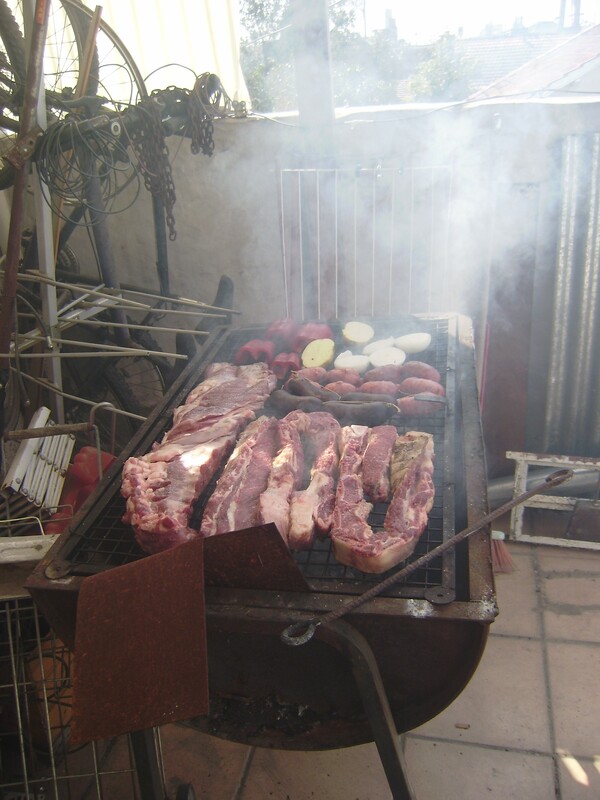 There was one big difference in the Argentine Asado compared to the Yanqui Asado: Money. 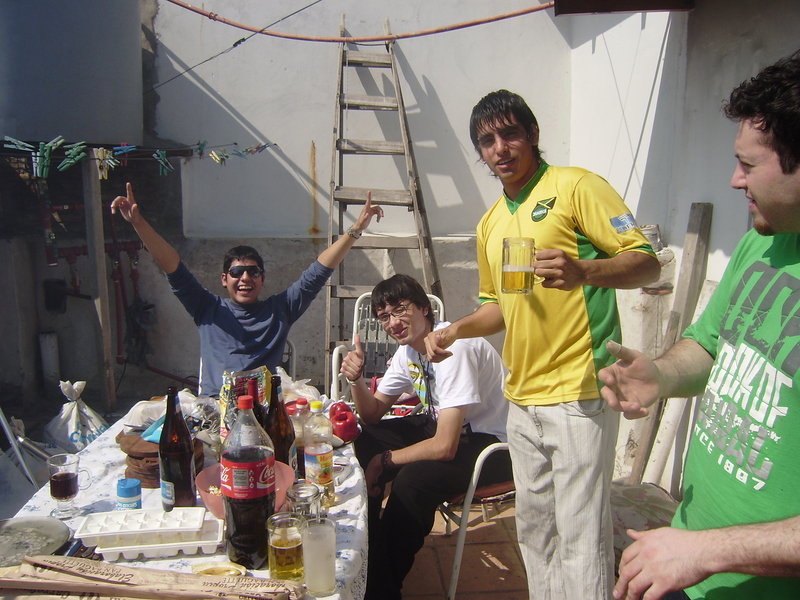 When I invited my friends to my asado, I said that I was providing the meat and some beverages. My lovely friends then brought salad, bread and wine. Everyone contributed, but as the hostess, I felt responsible to provide the main course. I was criticized for this by my Argentine, who told me that when Argentines have an asado, they save all the receipts for the meat, wine and side dishes, and then at the end they divide the costs equally between all guests. I’m not sure which system is better, but in both systems, everyone contributes something, and hopefully everyone enjoys the party. 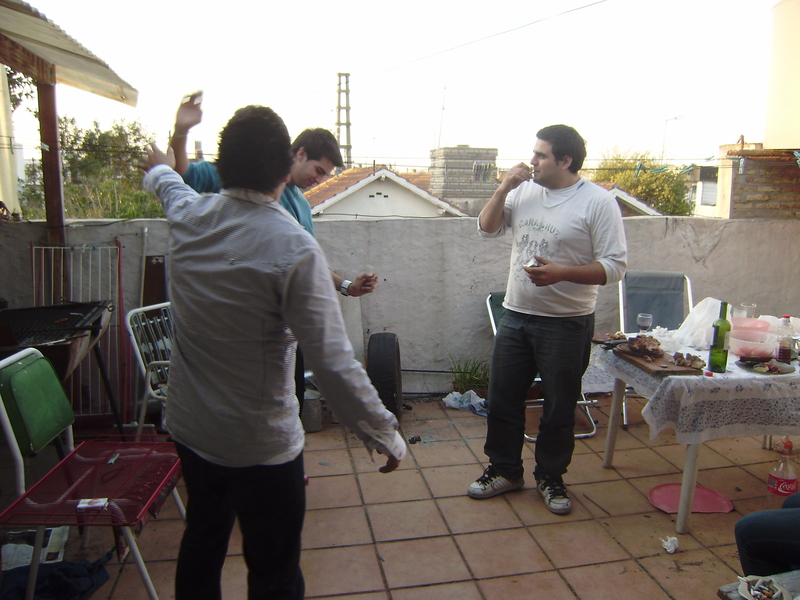 After the meat was gone, the music started, and the asado turned into a dance party. 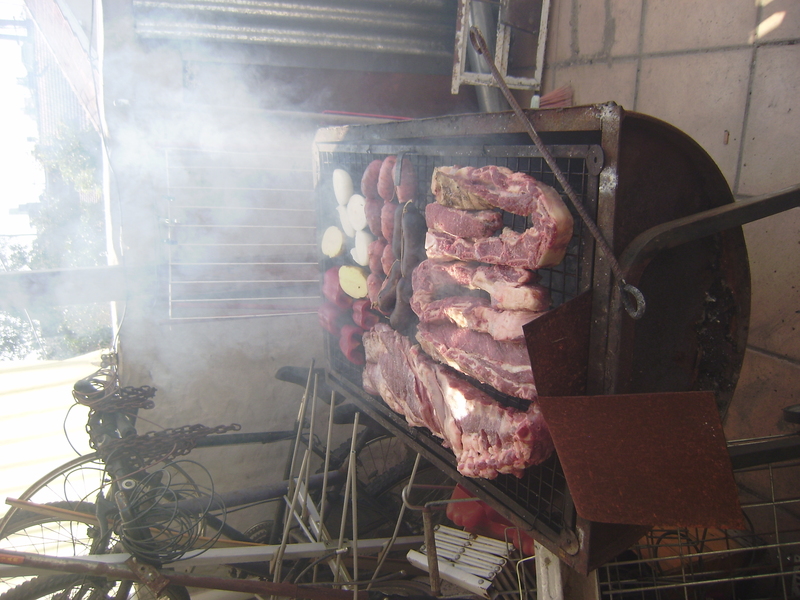 A double asado weekend was a great way to ring in the spring! If this is any indication of how summer will be, then I am going to need to get a gym membership post haste. I too, do not understand or enjoy the dividing of the receipts, but based on my experiences (and judging possibly by your photos) this is a custom among the men in Argentina. I enjoy more when guests bring possibly interesting side dishes and deserts, and have seen Argentinas do this at asados. But an Argentino bring a salad to the asado? I doubt it.